Thow Chiang enjoyed peer-tutoring when he was in Junior College. He is particularly good in presenting mathematical concepts systematically. 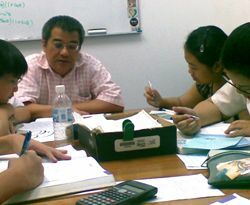 After JC Thow Chiang started giving private tuition as there were many referrals. Upon obtaining his Engineering Degree he worked in telecommunications, specialising in voice, data and network integration. Yet he remained active in church tuition ministry working with neighborhood youths. In his engineering career, Thow Chiang also took up teaching assignments to conduct Information and Communication Technology (ICT) Certification Training in developing countries. He is also a certified administrator and teacher with School Of Tomorrow, a proven Christian academic homeschool curriculum used by schools throughout the world for over 45 years. Thow Chiang’s approach is to be more an academic mentor than a math tutor. He goes beyond teaching enough to pass the grade. He helps students not only in math but also in achieving overall academic excellence. His interest is to enable students to understand the education system and overcome every possible limitation in the system. He provides encouragement and assistance to students for the best academic advancement and offers advice for individuals to achieve higher goals as they advance in their learning journey. 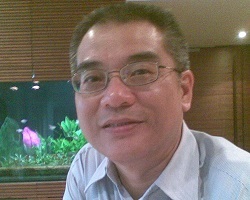 Thow Chiang teaches students from both Singapore local schools and International schools. His students are from Express, NA (Normal Academic), NT (Normal Technical), IP (Integrated Program), IB (International Baccalaureate) Diploma Program and IGCSE (International General Certificate of Secondary Education). He is especially good in detecting common misconceptions in important topics and help them overcome math fears. Most of his secondary 1 students who perform poorly in primary school are able to achieve A grade in math. Most of them proceeded to do double math in upper secondary. For every math concept, Thow Chiang is always able to summarise it in simple steps for students to grasp the first principle. Understanding math fundamentals is most important for students to gain confidence and enjoy the subject, irrespective of his or her math competency. As IP and IB schools often teach advanced topics, Thow Chiang will always identify the appropriate entry point to help students connect with secondary math concepts and understand these advanced topics.